The year isn’t over yet and the ledger hasn’t quite closed, but the National Championship Air Races are expecting a profit from the 2015 event in the neighborhood of $100,000. That’s a pretty respectable neighborhood for the 52-year-old special event that has had its financial woes through the great recession and a devastating crash in 2011 that killed a pilot and 10 people on the ground. The original budget for the event, put together by the Reno Air Racing Association Board of Directors, anticipated a loss of about $630,000. Crowell, a former Coca-Cola executive who took over as Air Races CEO in February 2015, credited tough budgetary decisions made by the board along with an increase in attendance and support from sponsors and volunteers for helping to put this year’s event in the black. A safe week of racing and near-perfect weather at Reno-Stead Airport were also contributing factors, Crowell said. And while he is optimistic about the event's future, don't expect any kind of spending spree either. "We still have a long way to go," Crowell said. The budget surplus gives the nonprofit special event breathing room as it plans for the 2016 Air Races – an event that will see the return of the U.S. Navy’s elite flight demonstration team, the Blue Angels for the first time since 2009. The 53rd National Championship Air Races will be held Sept. 14-18, 2016. Tickets will go on sale after the first of the year. SOUTH BURLINGTON, Vt. —A Delta flight that ran low on fuel while circling Boston's Logan International Airport had to be diverted to Burlington International Airport Thursday night. The plane, which originated from Raleigh-Durham, N.C. changed pilots and refueled while at Burlington International, according to the airport's director of Aviation, Gene Richards. He said 80 people were on board -- 76 passengers and four crew members. They left the plane for light refreshments while it was refueling. The plane was cleared to take off again Thursday night and land in Boston. SPRINGFIELD – A medical helicopter flying over downtown Springfield was targeted with a laser Wednesday evening, officials at Springfield's Abraham Lincoln Capital Airport said. The incident was one of more than 20 reported laser strikes on aircraft that occurred across the country overnight Wednesday. The practice is illegal as the lasers pose a danger because they can temporarily blind pilots. Mark Hanna, executive director of Springfield's airport, said Thursday that the helicopter crew reported the incident to the Springfield control tower a little after 5 p.m.
"This is an issue that is nationwide, and as displayed last night, it can happen right here in our own backyard," Hanna said. A Springfield police report said the incident occurred as the helicopter was landing at HSHS St. John's Hospital. The crew told police that they thought the laser could have been coming from somewhere near North Grand Avenue, but they could not say for sure. There were no indications on the report of injuries among the crew as a result of the laser. Helicopters routinely land and take off at St. John's and Memorial Medical Center. Local and federal officials are investigating the incident, Hanna said. Pointing a laser at an aircraft is a federal crime, punishable by up to five years in prison and a $250,000 fine, he said. "This is a very serious incident, especially since we have a lot of helicopters that (traverse) our airspace over the city every day," Hanna said. "We are taking this very seriously and are coordinating all efforts with law enforcement to help in their investigation." 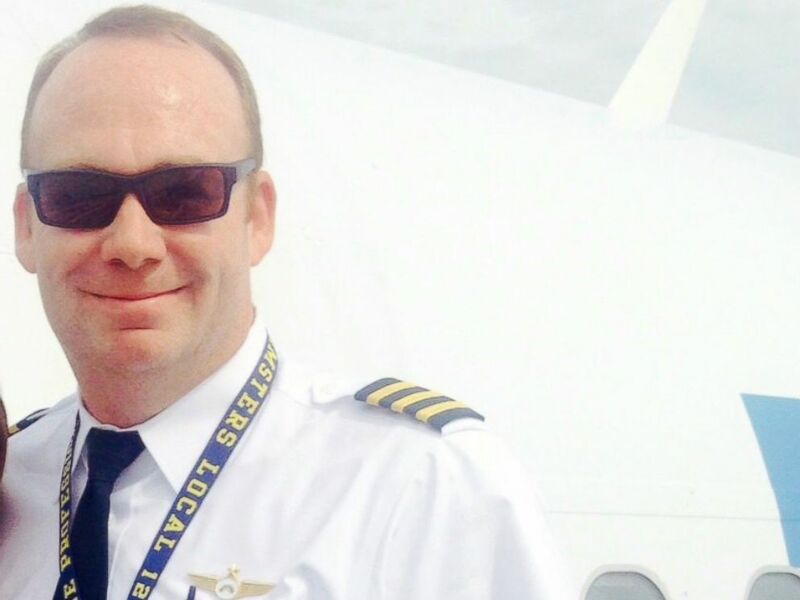 Former Allegiant Captain Jason Kinzer is suing the airline for alleged "malicious" firing. LAS VEGAS (CN) - With one engine smoking and "acrid smoke" in the passenger cabin just after takeoff, a commercial pilot turned his plane around and evacuated all 141 passengers - and Allegiant Air fired him for "not placing company profits above safety," the pilot claims in court. The pilot's attorney called it "the most egregious employment action I've encountered in several decades of aviation law." Two months before the incident, the Aviation Mechanics Coalition wrote a searing letter to Congress and the Federal Aviation Administration, citing a "disconcerting" number of "air returns and diversions due to maintenance-related issues" on Allegiant Air flights. Jason Kinzer had 141 passengers and four crew members aboard Allegiant Air Flight 864 on June 8, bound for Hagerstown, Md. from St. Petersburg, Fla. Shortly after takeoff, not yet at 5,000 feet, "one or more of the cabin crew reported to Capt. Kinzer and the first officer that acrid smoke or chemical fumes from an undetectable source was emanating from the rear of the passenger cabin and that it was being detected and inhaled by the passengers as well," Kinzer says in his Nov. 10 lawsuit in Clark County Court. Repeatedly citing 14 CFR, Part 91, on the responsibility of a commercial pilot, Kinzer says it was his duty and obligation to turn the plane around for the sake of passenger safety, declare an emergency to air traffic control and land at the St. Petersburg airport. The emergency became even clearer when the airport's fire personnel told Kinzer: "'I'm showing some smoke on your number one engine' and urged the crew to shut it down," Kinzer says in the complaint. Shutting down the engine and discharging the engine's fire extinguisher did not stop the "acrid burning smell," so Kinzer ordered his crew to prepare for an evacuation, and notified air traffic control. Much to his surprise, Kinzer says, "a person who did not identify himself or his authority, over the air traffic control authority, commanded the cockpit crew to 'hold off on your evacuation.'" The complaint continues: "The air traffic controller admonished the persons on the frequency that they must identify themselves when using the air traffic frequency, to which there was no response. Capt. Kinzer requested an identification of the person making this command, to which a response from the unidentified person was a repeat of the command, 'I'm telling you not to evacuate yet,' without giving the source of authority or reason to make such a command." After a minute passed, Kinzer says, he and the ground controller asked again why the evacuation should be delayed, and got no response. He landed the plane and evacuated it. Kinzer and a flight attendant carried one passenger, a paraplegic, off the plane. A transcription of the 7 minutes of conversation between Kinzer, ground control and the unidentified voice is attached to the complaint as an exhibit. "Smoke in the cabin is obviously a major safety concern and there is no responsibility I take more seriously than protecting my passengers and crew," Kinzer said in a statement. "All I'm asking for is a recognition that evacuating the plane was the only safe course of action and a commitment from Allegiant to put safety first so my colleagues never have to worry that doing the right - and safe - thing could cost them their jobs." Allegiant fired him on July 23, in a letter of termination attached to the complaint. The seven-sentence letter, firing him immediately, called the evacuation "entirely unwarranted," and says it "compromised the safety of your crew and your passengers and led directly to the injuries." The letter says his responsibility as an air captain is to "operat(e) each aircraft safely, smoothly and efficiently and striving to preserve the Company's assets, aircraft, ground equipment, fuel and the personal time of our employees and customers. You failed to exhibit these behaviors during Flight 864." In other words, Kinzer says in the lawsuit, Allegiant Air fired him for "not placing company profits above safety." His attorney Michael Pangia said in a statement: "This is the most egregious employment action I've encountered in several decades of aviation law. Allegiant Air is retaliating against a pilot for protecting his passengers." In a rather devastating April letter to Congress the FAA, an airline union and the public, the Aviation Mechanics Coalition took Allegiant Air to task for "Air Returns and Diversions due to Maintenance-related Issues September 2014 Through March 2015." The letter - sent two months before Kinzer evacuated Flight 864 - says Allegiant Air has had a "disconcerting" number of flights returned, diverted or takeoffs aborted due to maintenance issues. The coalition said it tried to tally Allegiant's recent flight diversions, but because the airline is too small to trigger mandatory reporting to the FAA, it's impossible to know how many diversions occurred during any period of time, but it identified dozens from September 2014 through March 2015. Summaries of the incident take up 11 of the letter's 13 pages. The coalition says Allegiant has 70 aircraft that average more than 22 years since their date of manufacture and that average 5.5 hours of flight time each day, which is less than half the industry average. "We find it disconcerting that an airline with such a small fleet has experienced such a large number of schedule disruptions due to mechanical issues," the coalition wrote. It describes Allegiant Air as an "ultra low cost carrier based in Enterprise, Nev."
It continues: "Allegiant Air is run by CEO Maurice Gallagher, and up until Oct. 1, President Andrew Levy. Both can trace their roots back to another low cost carrier, ValuJet, and were in place when ValuJet Flight 592 crashed into the Florida Everglades due to a cargo compartment fire caused by errors committed by contract maintenance employees." "Any and every decision about our flight crews is made first and foremost with the safety of Allegiant's passengers in mind. While we are not able to comment on specific employment matters or lawsuits at this time, we never compromise on our commitment to safety. We take any employee termination with great seriousness and ensure that a thorough investigation, collecting facts from all stakeholders, is conducted before any decision is made. "Allegiant has a culture that values the safety of our passengers and crew above all else. As such, we have high standards for all of our team members. We expect that all team members, particularly flight crews, exercise sound judgment in performing their duties to ensure that the wellbeing of our passengers is never compromised. "Additionally, we expect that when team members are found to have acted in a manner that is inconsistent with the safe operation of the airline, that those individuals will take responsibility for their actions and take appropriate steps to improve future performance." Kinzer seeks punitive damages for defamation, wrongful termination and emotional distress. He is represented by Michael Pangia, of Washington, D.C., and Michael Urban, of Las Vegas. DALLAS - A pilot who ordered an emergency evacuation after smoke was detected coming from one of the jet's engines is suing Allegiant Air for firing him. The 43-year-old pilot says Allegiant is putting profits above safety. Allegiant says the evacuation was unnecessary and put passengers at risk — several were injured sliding down inflatable escape chutes. The incident in June was one of many over the summer that brought unflattering attention to Allegiant. The Teamsters union, which is trying to negotiate Allegiant pilots' first union contract, has publicized the events and accused the airline of cutting corners on safety. The case highlights a natural tension in the airline industry: Captains are responsible for safety on the plane, but airlines can and do judge their work. On June 8, Jason Kinzer was the captain of an Allegiant Air jet with 141 passengers scheduled to fly from St. Petersburg, Florida, to Hagerstown, Maryland. Minutes after takeoff, Kinzer says, flight attendants called the cockpit to report smelling smoke, so he declared an emergency and returned to the airport. Kinzer said he rolled to the end of the runway, where the plane was met by emergency vehicles. According to a transcript of airport radio transmissions, a fire-and-rescue worker detected smoke coming from one of the two engines on the McDonnell Douglas MD-80. Kinzer told airport officials he planned to evacuate the plane. On the recording, someone can be heard telling the pilot to wait, but the person didn't identify himself or give a reason for the delay. Kinzer then ordered passengers to evacuate. Several passengers and one flight attendant were injured, Allegiant reported at the time. In a July 23 termination letter, Allegiant chief pilot Mark Grock told Kinzer that he "ordered an evacuation that was entirely unwarranted and ... compromised the safety of your crew and your passengers and led directly to the injuries." Kinzer said he first learned of his dismissal in an earlier phone call during which a personnel staffer said he was being fired because the flight was one of several incidents that brought negative attention to Allegiant. He did not record the call, and Allegiant spokeswoman Kimberly Schaefer disputed that the airline would fire someone over an issue of "public perception." She said terminations are made only after thorough investigations. The company "values the safety of our passengers and crew above all else," Schaefer said. "Allegiant is a safe airline." Evacuations are expensive for airlines. Allegiant declined to say how much it cost to reinstall the emergency chutes on Kinser's plane, but after a JetBlue flight attendant intentionally deployed a slide in 2010, a police report said replacing the chute cost more than $25,000 — that was one slide on a much smaller plane than Kinser's MD-80, which had four slides. In an interview this week, Kinzer, who joined Allegiant in January 2013, said the airline's own operations manual calls for evacuation in case of a potential fire. "I have not had a moment of remorse over this," he said. "No aviator should ever feel the fear of retribution ... (for) doing something in the interest of safety." Bryan Dougherty, a passenger, said once the captain gave the evacuation order, "It was pure mayhem. Everybody was pushing everybody." He said an older woman who was pushed down a chute by a flight attendant wound up going to the hospital. Dougherty said he didn't smell smoke before the evacuation but that others sitting in the back of the plane did. He didn't think it was necessary to use emergency slides, but added, "I'm no airline expert." The wrongful-termination lawsuit was filed Tuesday in state court in Las Vegas, where parent Allegiant Travel Co. is based. ORANGE — An early morning fire that destroyed two recreational vehicle campers and a sports utility vehicle at the Jumptown skydiving facility at 31 C St. on Wednesday remains under investigation. No one was injured in what could have been a catastrophe, since the fire was about 25 feet from a large tank of aviation fuel, according to Orange fire investigator and firefighter James Hopkins. Swift winds helped to blow a fire that ignited an empty camper toward a row of about five other trailers, including one occupied by skydiving instructor Andreas Szerbakowski. The Orange Fire Department responded with two fire engines and a ladder truck, while the Athol Fire Department provided station cover. Hopkins said the fire was extinguished by about 5 a.m. A third camper was also damaged by the fire, he said. No one from Jumptown could be reached for comment Wednesday, although the Skydiving Club’s Facebook page is linked to an online fundraising site for Szerbakowski. A GoFundMe website, started by Stacey Perry, said that the fire resulted in a major loss for Szerbakowski, who lost his car, home, clothing, money, laptop, stereo and his skydive rig. “He has been left with literally nothing but the clothes on his back,” Perry wrote. The fundraising goal for Szerbakowski was set at $20,000. Orange Airport Operations Manager Bryan Camden said there was no damage to airport equipment or property, and that the fire did not affect airport activity. Camden said that Jumptown leases space at the airport and, as of Wednesday afternoon, Jumptown had started a clean-up of the fire site. When asked about campers at Jumptown, Camden said skydiving instructors, who come here from great distances, often stay there in campers for the weekends. He said there are usually between six and 12 campers on the site, during the season. Camden said the Orange Fire Department has had training sessions at the airport, to identify potential hazards, and how to handle them. Camden said he didn’t think the fire will affect Jumptown’s operations. Federal authorities have launched an investigation after numerous aircraft were hit by laser beams Wednesday night. More than 20 aircraft were struck while in flight over at least 16 U.S. cities, according to a statement from the Federal Aviation Administration. Authorities said three strikes were reported to the FAA in the New York City area, followed by three in Texas that hit jets that were preparing to land. Laser beams have been known to travel more than a mile from the ground to the cockpit, momentarily blinding pilots in flight. Capt. Joe DePete, first vice president from the Air Line Pilots Association, told The Washington Post over the summer that lasers are most dangerous when pilots are trying to take off or land. A helicopter from CBS New York in flight over Park Slope, Brooklyn, was among the those that saw the beams. Pilots for two other TV stations — WNBC-TV and WABC-TV — made similar reports, according to CBS New York. The other laser strikes were reported in Los Angeles, Oakland, Ontario, Palm Springs and Sacramento, Calif.; St. Petersburg, Fla.; Springfield, Ill.; Covington and Danville, Ky.; Detroit, Mich.; Albuquerque, N.M.; Jamestown, N.Y.; Salt Lake City, Utah; and San Juan, Puerto Rico. The FAA said that more than 5,300 laser strikes have been reported in the U.S. so far this year. Families of three U.S. Army soldiers have filed a lawsuit against Sikorsky Aircraft, alleging the Stratford-based defense contractor failed to properly design, manufacture and maintain a Black Hawk helicopter that crashed into a Georgia airfield in 2014, killing one of its passengers. The lawsuit, initially filed in California, was recently refiled in U.S. District Court in Connecticut. "There were clearly a variety of problems that lead to this crash," said attorney Brendan Leydon, of Tooher Wocol & Leydon in Stamford, who is representing the families. "The families are fully prepared to pursue this case." Sikorsky has built many thousand helicopters for the American military, and the Army has more than 2,000 Black Hawks. In addition to building the choppers, Sikorsky and its vendors provide maintenance for the aircrafts. Company officials would say little about the latest lawsuit. "The allegations against Sikorsky in the complaint have no merit, and we intend to defend against this lawsuit vigorously," said Paul Jackson, the company's communications director. On Jan. 15, 2014, Jon Ternstrom, Clayton Carpenter, and Cameron Witzler were nearing the end of a what the lawsuit called an "uneventful" training flight from St. Augustine, Florida, to the Hunter Army Airfield in Savannah, Georgia. All three were members of the 160th Special Operation Aviation Regiment, known as the Night Stalkers. The crews conduct attack and reconnaissance missions at night at high speeds and at low altitudes. The unit was responsible for transporting the U.S. Navy Seals who conducted the raid and assassination of Osama Bin Laden. Ternstrom, who was acting as pilot-in-command of the Black Hawk, received permission to land from the Hunter Air Traffic Control. However, Carpenter was at the controls. According to the lawsuit, as the helicopter started to make its descent, it "suddenly and without warning" experienced a failure of the tail rotor pitch assembly, which control the blades on the helicopter's tail. The rotor started to spin in the opposite direction of the main blades atop the aircraft. "Carpenter announced to the crew that there was a problem, and despite appropriate flight control inputs as prescribed in all relevant training manuals and training exercises, was unable to stop or slow the spin," according to the 24-page federal lawsuit. Ternstrom took control of the aircraft and attempted to reduce the spinning. "Nonetheless, the Black Hawk continued out of control and impacted the ground," the lawsuit stated. The lawsuit alleges that the primary culprit was a Sikorsky vendor, a California company called Prototype Engineering and Manufacturing, which designs and maintains the rotor pitches for Sikorsky helicopters. In this case, according to the lawsuit, the company's employees failed to install a cotter pin during maintenance on the helicopter. The missing pin set off a chain reaction that led to a critical nut coming loose, which caused the pilot's controls to become disconnected from the rotor. "It looks like somebody building this aircraft for the Army allowed it to go out without that cotter pin," Timothy Loranger, a California attorney, who initially represented the families, told the Defense News website. "It's tragic someone appears not to have been paying attention." Once the helicopter crashed, the electronic locator transmitter (ELT), which sends a signal to air traffic controllers in the event of a crash, did not send the emergency signal to the traffic control tower, according to the lawsuit. "Failure of the ELT to transmit caused a significant delay in the arrival of medical aid and assistance and exacerbation of the injuries suffered by Carpenter, Ternstrom and Witzler," according to the suit. Carpenter was found inside the wreckage, and suffered from "massive internal injuries." Carpenter eventually died from his injuries. Ternstrom was able to extricate himself from the wreckage and called for help on his cell phone. Both Witzler and Ternstrom suffered severe, long-lasting and permanent injuries as a result of the crash, according to the lawsuit. The lawsuit claims the seats in the helicopter failed to reduce the forces of the crash, exacerbating the men's injuries. "The design, manufacture, maintenance, and assembly of the Black Hawk were and are defective and dangerous because the aircraft is not capable of safe flight throughout the entire operative envelope, for which it was supplied, does not meet generally accepted performance requirements, and does not meet required manufacturing and quality control standards," according to the complaint. After the crash, the Army inspected it's other Black Hawk helicopters, and found only one other with a missing cotter pin, the Defense News reported. The lawsuit claims Sikorsky is responsible for all aspects of its helicopters, even components created by other companies. "The Black Hawk's failure to perform safely was a substantial factor in causing the death of Carpenter and damages to each plaintiff," the claim states. A lawsuit against Sikorsky was initially filed in California, but a federal judge dismissed it for jurisdictional reasons. It was refiled in Connecticut on Oct. 30. The three families, including Carpenter's mother, and Ternstrom and Witzler's wives, have made claims for product liability, breach of warranty and negligence. Given the number of helicopters Sikorsky sells, it's not surprising that there have been other lawsuits following crashes. In early 2014, a suit was filed against the company claiming gross negligence after a Black Hawk that crashed in Texas in 2009, leaving its pilot severely injured and with permanent brain damage. That case was dismissed in August 2014 because it was filed after the two-year statute of limitations had passed. In June 2009, the sole survivor of a crash that killed 15 others off the coast of Newfoundland sued Sikorsky for negligence after a civilian helicopter crashed. The case was withdrawn just a month later and the families of the dead and the survivor settled with Sikorsky for an undisclosed amount. FORT WORTH – Little Lucy James is one week old Wednesday. She arrived in this world nine weeks early, weighing just 3 lbs., 13 oz. "She's not very big," says mom Alex James. "She doesn't know that. She thinks she's huge." Holding and cuddling the little baby are magic moments for moms Alex and Katie James. But the moments leading up to Lucy's delivery were much more tense. Doctors in Decatur told the parents Lucy's lungs weren't fully developed, and she'd need to be flown immediately to Cook Children's Hospital in Fort Worth. "It was really scary, honestly," Alex said. "These kids need medical attention, and they need it rather fast," said EMS pilot Gary Colecchi, who flies for Cook Children's Teddy Bear Transport. That's why an incident this summer at Cook Children's has pilots like Colecchi concerned. Back in July, a medical chopper had just dropped off a patient. "They were then dispatched to another critical injured child," Colecchi said. "However, they were unable to take off for 20 minutes because someone was flying a drone around [the] hospital." That means a North Texas child had to wait 20 minutes longer than necessary for crucial medical attention, all because of a drone. "It could've been bad," said Debbie Boudreaux, director of transportation for Cook Children's Hospital. Boudreaux worries this is a sign of things to come, as drones pick up in popularity. The FAA estimates at least 700,000 drones will be sold by the end of the holiday season. The issue is that, currently, the FAA has no laws on where you can fly drones. They simply suggest not to fly within five miles of airports, including hospital helicopter pads. Actual laws should be coming soon, according to an FAA spokesperson. In the meantime, Cook Children's and other hospitals are pleading for people not to fly drones near their facilities for fear the next 20-minute delay means the child doesn't get a happy ending, like Lucy James. If you plan to fly a drone, first click here to see a website for guidance on where to fly safely. 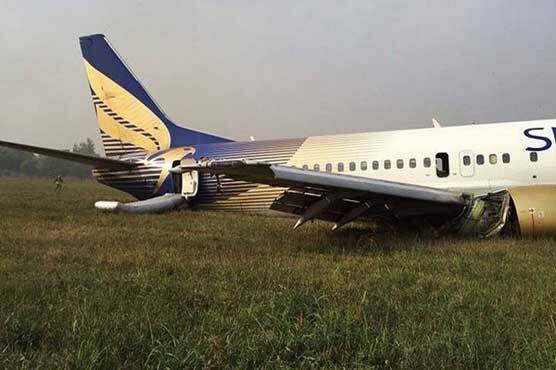 As the airplane neared the destination airport in dark night visual meteorological conditions at the conclusion of a cross-country flight, the private pilot reported a partial loss of engine power. The air traffic controller provided the pilot with a vector and information for the nearest airport, which, according to his display, was equipped with a lighted, grass runway. Although the airport was equipped with a rotating beacon and runway lighting, these lights could not be pilot-operated and required manual activation by the airport owner. This information was not available to the controller. In attempting to assist the pilot in restoring engine power, the pilot-rated controller suggested that the pilot turn off the carburetor heat. Eventually, radar contact with the airplane was lost, and the controller continued to provide vectors to the pilot while also attempting to obtain more information about the airport, including a common traffic advisory frequency to activate the lighting system. Radio contact was lost with the airplane about 7 minutes after the loss of radar contact. The airplane impacted trees and terrain about 1 nautical mile from the diversionary airport. All of the engine’s spark plugs displayed carbon fouling, consistent with an overly rich fuel-air mixture. No other anomalies were detected with the airframe or engine that would have precluded normal operation. Although the airplane was operating in an area conducive to the formation of carburetor icing at glide power, it could not be determined if the engine experienced carburetor icing at the time the pilot reported that she had engine problems because she had the carburetor heat on and was likely operating at cruise power. Additionally, the effect of the controller’s suggestion to turn off the carburetor heat could not be determined. The airplane's impact with trees and terrain during an off-airport forced landing in dark night conditions following a partial loss of engine power. The reason for the partial loss of engine power could not be determined because postaccident examination did not reveal any mechanical anomalies that would have precluded normal operation. On November 10, 2015, about 1858 central standard time, a Cessna 182Q, N96381, impacted trees and terrain during an off-airport forced landing near Richmond, Missouri. The pilot was fatally injured and the airplane was substantially damaged. The airplane was registered to 96381 Inc., Ortonville, Michigan, and was operated by a private individual under the provisions of 14 Code of Federal Regulations Part 91 as a personal flight. Dark night visual meteorological conditions prevailed and no flight plan was filed. The airplane departed Oakland County International Airport (PTK), Pontiac, Michigan, about 1530 eastern standard time, and was destined for Charles B. Wheeler Downtown Airport (MKC), Kansas City, Missouri. The pilot was receiving visual flight rules flight following services from air traffic control. At 1848:46 (all times are central standard time unless otherwise noted), about 40 nautical miles northwest of MKC, the pilot contacted the Kansas City International Airport departure east radar air traffic controller. The controller responded with the MKC landing runway information and advised the current Automatic Terminal Information Service code. The pilot replied that she had the current weather information. At 1849:44 while heading approximately 245°, the pilot transmitted, "…I need some help." After the controller acknowledged, the pilot said, "I need an airport right now, I've lost a lot of my engine power, and I don't know why." The controller advised the pilot of an airport about 5 miles southwest of her position (Curtis Field Airport, 8MO3), provided a vector of 225°, and stated that the runway was 2,400 ft long and 80 ft wide and was lit. At 1850:21, the pilot acknowledged, but stated, "I think I'm turning the wrong way." In a subsequent transmission, the pilot stated, "I am just really nervous if you could help me please." The controller advised the pilot, who had turned the airplane northwest, to turn southwest, and the pilot acknowledged. Shortly thereafter, the controller asked the pilot if the engine had "any power at all," to which the pilot replied, "…I have some power but it's just really reduced." The controller then asked the pilot if the airplane's pitot heat was on. The pilot replied that it was, and the controller advised the pilot to turn it off. The controller subsequently asked if the airplane's carburetor heat was on. The pilot confirmed that it was, and the controller advised the pilot to turn it off; the pilot replied, "Carb heat off." At 1852:52, about 3 miles from 8MO3, the pilot stated to the controller that she did not have the airport or its beacon in sight. 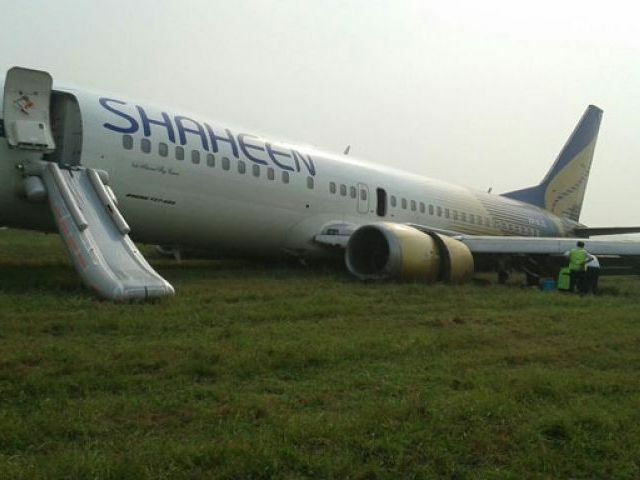 The controller instructed the pilot to continue southbound and described the runway. The pilot asked if the airport was lit and if the controller could, "…ask them to turn on the lights." The controller responded that it was an uncontrolled airport. The pilot advised that she did not have the airport's common traffic advisory frequency (CTAF), and the controller instructed her to stand by. About 1854, the controller advised the pilot that radar contact had been lost. The pilot reported that the airplane was at 1,800 ft and that she did not have the airport in sight. The controller then stated that the airport was a "grass field," and asked, "is there still daylight out?" The pilot replied that she "could not see anything." The controller stated, "The closest airport with lighting and cement is Mosby Airport," but the controller did not provide a direction or distance to this airport. The pilot stated that the airplane was at 1,600 ft and losing altitude. The controller then provided the pilot a CTAF frequency of 122.9, which the pilot acknowledged. At 1855:47, the controller stated to the pilot, "You need to start looking for the airport there if you can," and asked for the airplane's altitude. The pilot did not reply. About one minute later, the pilot stated, "I can't see at this point…[unintelligible] try again." There were no further communications from the pilot. A witness, who was about two miles northwest of 8MO3, saw the navigation and landing lights of a southbound airplane. He reported that the airplane passed directly overhead about 500 ft above him and the engine sounded like it was "spitting." The airplane was more than one mile away, had completed a left turn, and was proceeding almost due west when the witness saw the airplane descend and disappear from sight. Shortly afterward, he heard two distinct "thuds." The witness immediately contacted emergency services, and the wreckage was subsequently located at 2126. A review of the pilot's logbook found flight entries from 2002 until December 6, 2014. No additional logbook was located. Using the pilot's logbook, airplane logs, and interviews with the pilot's family and friends, the pilot's total flight experience was estimated to be 744 total hours, of which 119 hours was in the Cessna 182 variants, 109 hours of night time, and 38 hours of simulated instrument conditions. The pilot's last recorded flight review was dated August 10, 2011. Although the pilot completed the necessary requirements on August 15, 2013, she did not request a flight review endorsement from the instructor, so no endorsement was signed. The airplane's last inspection was a combined 100 hour/annual completed on October 2, 2015. At the time of the inspection, the airframe had accrued 2,214.8 hours, and the engine had 1,297.6 hours since major overhaul. The airplane was equipped with a Garmin GNS-430 GPS/NAV/COM radio which provided both navigation and communication capabilities. It could not be determined if the pilot routinely operated the GNS-430. Data from the U. S. Naval Observatory showed that moonset occurred at 1650, sunset occurred at 1706, and the end of evening civil twilight occurred at 1734. A review of the Carburetor Icing Probability Chart located in FAA Special Airworthiness Information Bulletin CE-09-35 revealed that the airplane was operating in an environment conducive to the formation of serious icing at glide power settings. The diversion airport provided to the pilot by air traffic control was Curtis Field Airport (8MO3), a private use airport located about 3 miles northeast of Richmond, Missouri. The airport was not equipped with a control tower and was attended only during daylight hours. Runway 17/35, a lighted turf runway, was 2,500 ft long and 80 ft wide. Although the airport was equipped with a rotating beacon and runway lighting, it could not be pilot-activated; airport personnel must be called at a phone number to manually turn the lighting on. At the time of the accident, the lights on the field were off. The airplane impacted trees and terrain about 1.28 nautical miles west of 8MO3. The initial impact point was identified by damage to an 80 ft tall tree. The airplane continued about 275 ft to an open field northwest of the initial impact point, and collided with the ground in an approximate 80° nose-low attitude. The airplane's propeller was found separated from the engine near the impact crater. The leading edges of both wings and the forward portion of the fuselage were crushed aft. Flight control continuity was confirmed to all control surfaces. Elevator trim was found about 6-7° nose-down. 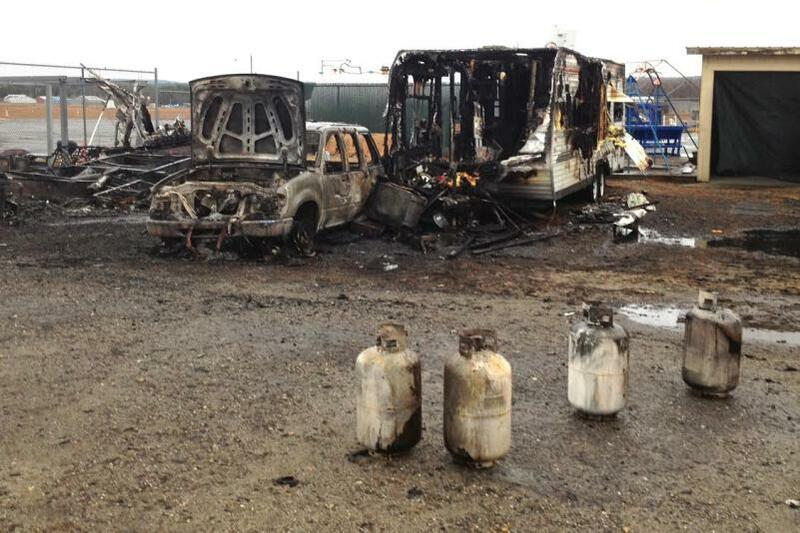 All fuel filters and strainers were found clear of debris. The fuel selector was found in the right tank position, and the right tank contained about 11 gallons of fuel. Fuel was found in the sump bowl and the carburetor accelerator pump. The propeller blades were relatively undamaged. One blade was deformed rearward about 30° near its mid-span. The engine was removed and sent to Continental Motors Analytical Department, Mobile, Alabama, for examination. Disassembly and examination of the engine revealed no mechanical defects with the engine. All twelve spark plugs were found fouled. The county coroner elected not to perform an autopsy on the pilot. Blood was drawn for toxicology testing. The FAA Bioeraeronautical Sciences Research Laboratory, Oklahoma City, Oklahoma, performed forensic toxicology on blood specimens from the pilot. Testing was negative for carbon monoxide, ethanol, and all tested-for substances. At the time that the pilot reported engine difficulty, 8MO3 was the nearest airfield, and was located about 5 miles southwest of the airplane's position. The next closest airports were an additional 7 miles away. The Standard Automation Replacement System (STARS) emergency airport function on the controller's displayed that 8MO3 was a lighted, grass runway, and no CTAF frequency was provided. He stated that the airplane was rapidly losing altitude, and he could tell that the pilot was very nervous. He also stated that it was daylight when he had been assigned the position, and he did not realize that it had become dark outside. The controller held a private pilot certificate with instrument rating, and stated that, while attempting to assist the pilot, he recalled his flight training and factors that may have an adverse effect on engine performance. He advised the pilot to turn the airplane's pitot heat off, then later realized that the use of pitot heat would not affect engine power. After discussions with another pilot-rated controller in the room, he advised the pilot to turn the engine's carburetor heat off. Another controller then provided him an incorrect CTAF frequency for a different airport, which he subsequently relayed to the pilot. According to radar data, radar contact with the airplane was lost at 1851:39; however, the controller did not advise the pilot that radar contact had been lost until 1854:09. FAA Order 7110.65 stated that controllers are required to inform an aircraft of radar contact both when initial radar identification is established and when radar contact is lost. The order also stated that, in the event of an emergency, controllers are required to coordinate search and rescue (SAR) efforts. In order to facilitate SAR, controllers should gather pertinent information from the pilot, including estimated location and altitude, direction of flight, number of persons on board, and a description of the aircraft. The accident controller did not request this information. After the accident occurred, the controller attempted to call 911, but was unable to dial outside of the facility. Eventually, a frontline manager was able to complete the call. The controller also reported that he did not think that he had not received adequate training to respond to emergency situations, and that the annual simulation training he received "always seemed to be on the same thing." The manufacturer's pilot's operating handbook for the airplane stated, "An unexplained drop in manifold pressure and eventual engine roughness may result from the formation of carburetor ice. To clear the ice, apply full throttle and pull carburetor heat knob full out until the engine runs smoothly; then remove carburetor heat and readjust the throttle. If conditions require the continued use of carburetor heat in cruise flight, use the minimum amount of heat necessary to prevent ice from forming and lean the mixture for the smoothest operation." On November 10, 2015, about 1858 central standard time, a Cessna 182Q, single engine airplane, N96381, impacted obstructions and terrain during an off-airport emergency landing near Richmond, Missouri. The pilot was fatally injured and the airplane was substantially damaged. The airplane was registered to 96381 Inc.; Ortonville, Michigan; and was operated by a private individual, as a 14 Code of Federal Regulations Part 91 personal flight. Dark night visual meteorological conditions (VMC) prevailed and a flight plan had not been filed. The airplane had departed Oakland County International Airport, (PTK) Pontiac, Michigan, about 1530 eastern standard time, and was destined for Charles B Wheeler Downtown Airport (MKC), Kansas City, Missouri. The airplane was in cruise flight about 3,200 feet mean sea level (msl) and was receiving visual flight rules flight following from air traffic control at Kansas City. About ten minutes before the accident the pilot requested directions to the nearest airport and reported that airplane had a significant loss of engine power. The controller gave directions to Curtis Field Airport (8MO3), Richmond, Missouri, which was then about five miles southwest from the airplane. The last radar data showed that the descending airplane was about 1,600 feet msl and several minutes later radio contact was lost. A witness about two miles northwest from 8MO3 saw the navigation lights and the landing light of the southbound airplane. He reported that the airplane passed directly overhead about 500 feet above him and the engine sounded like it was "spitting". The witness watched the lights of the airplane then proceed in the general direction of 8MO3. The airplane was more than a mile away, had completed a left turn and was proceeding almost due west when the witness saw the airplane descend and disappear from his sight. Shortly afterward he heard two distinct "thuds". The witness immediately contacted 9-1-1 emergency, an active search began, and the wreckage was found at 2126. Evidence at the scene showed the airplane was northwest bound when it first struck an 80-foot tall tree, and was nearly nose down vertical when it impacted terrain. Adequate fuel was found in the airplane, but there was no postimpact fire. The closest official weather reporting station was at KGPH, Mosby, Missouri; located 16 miles west from the accident location, At 1835 the Automated Surface Observation System at KGPH, reported wind from 120 degrees at 5 knots, visibility 10 miles, clear skies, temperature 17 degrees Celsius (C), dew point 8 degrees C, with an altimeter setting of 29.82 inches of Mercury. Elizabeth McGhee with her son Merritt, 12, both of Oxford, helped fly gifts to foster care children on Dec. 3 from the Oakland County International Airport as part of Operation Good Cheer. More than 200 pilots volunteered to take the hundreds of gifts around the state. Friends and family will gather this weekend to remember a selfless volunteer, accomplished veterinarian and mother of nine who died in a plane crash last week. Elizabeth McGhee, 57, of Ortonville, died Nov. 10 in a single-engine plane crash in Ray County, Missouri, according to the Kansas City Star. She was the only occupant of the plane. McGhee, a Kansas native, was an accomplished veterinarian, pilot and 4-H leader, as well as a missionary to Africa, according to her obituary. 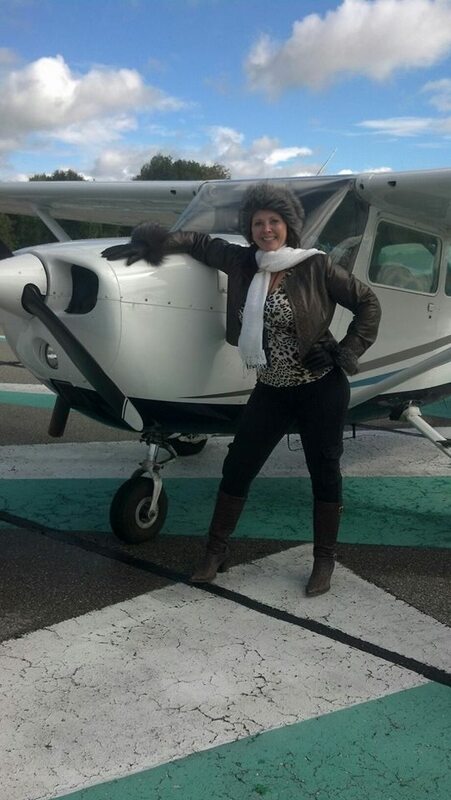 McGhee was also a former Oakland County Homemaker of the Year and, in 2011, used her Cessna 172 to deliver Christmas gifts to foster children around the state as part of Operation Good Cheer. A memorial service for McGhee will be held at 11 a.m. on Saturday, Nov. 21, at the Auburn Hills Christian Center, located at 2592 East Walton Blvd. in Auburn Hills. 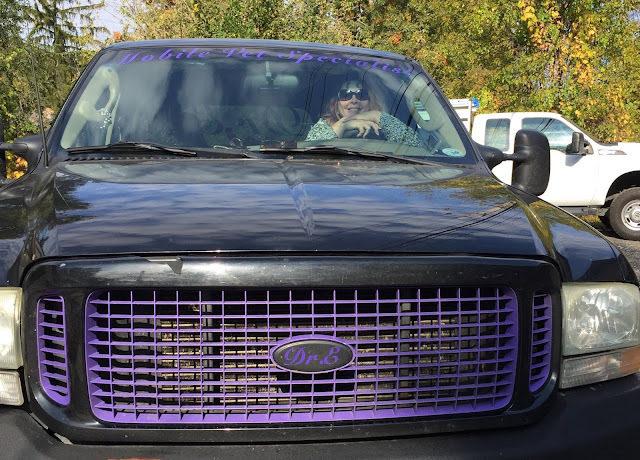 Church administrator Shelley Gilbert said McGhee was energetic and full of life and was involved in many activities, including mission work across the country and overseas. “She had a passion for life and she was a very fun person to be around,” Gilbert said. Cash or check memorials can be sent to Clarkston State Bank, attn: Elizabeth McGhee Legacy Fund; or Mercy in Truth Medical Missions, 721 North 31st, Kansas City, KS 66102. In lieu of cut flowers, McGhee’s family asks friends and family to consider donating to either organization or perennials plant arrangements entrusted to Lewis E. Wint & Son Funeral Home, located at 5929 South Main St. in Clarkston. An online guest book is available at www.wintfuneralhome.com. Elizabeth McGhee (left), of Ortonville, with daughters Faith (middle) and Catherine (right) in this 2009 photo. DDr. Elizabeth C.(Stevens) McGhee; of Ortonville; Born in Wichita Kansas to Charles E. Stevens Jr. & E.C. Erin Stevens, Michigan died Suddenly on November 10, 2015; age 57; Survived by her children Grace E McGhee Seeley, Grant E. McGhee, Charles E. McGhee, Clark E. McGhee, Faith E.E. McGhee Miller, Catherine E. McGhee Pugh, Joseph E. McGhee, Madeline E. A. McGhee & Merritt M. McGhee; and her Mother- E.C. Erin Stevens; Sister of Catherine C. Gordon and Matthew M. Stevens; and five grandchildren, Binti, Charlette, Jack, Burliss, and Juniper. Elizabeth, as an accomplished veterinarian, pilot, 4-H Leader, missionary to Africa and mother of many, her legacy is just beginning. Celebration of life service is Saturday, November 21st at 11am, at Auburn Hills Christian Center in Auburn Hills, Michigan. UPDATE (11/11/15) RICHMOND, Mo. — Missouri Highway Patrol identified the victim in Tuesday evening’s plane crash as a Michigan woman. 12:15 p.m. — The pilot in Tuesday evening’s plane crash in Ray County has been identified. 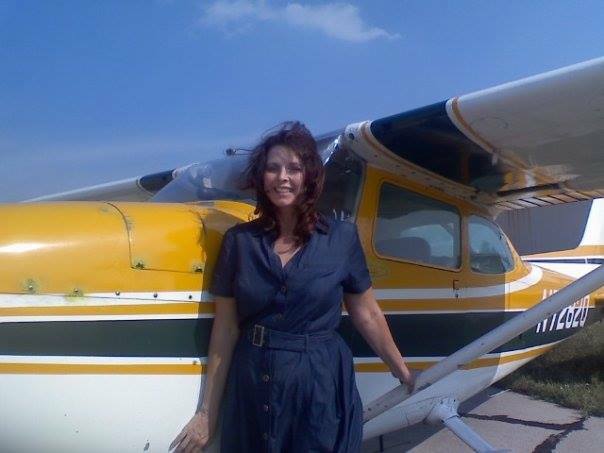 Elizabeth Carleen-Stevens McGhee of Ortonville, Michigan pilot was traveling from KC to Michigan when her plane went down near Highway 13 and Route B sometime after 7:00 p.m. A search for the craft began after a distress signal was received by authorities. She was pronounced dead by the Ray County Coroner. An investigation into the cause of the crash is ongoing. Her name is expected to be released Wednesday afternoon. 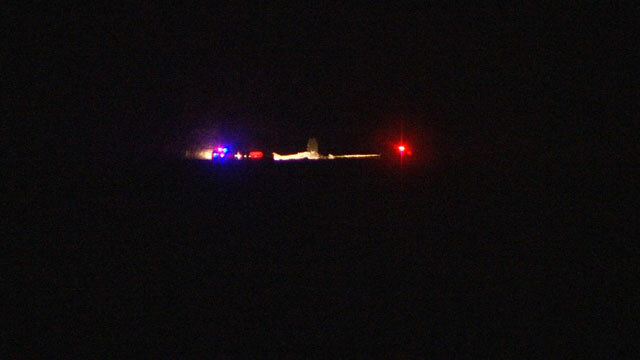 10:54 p.m. — The pilot of a small aircraft that crashed in Ray County Tuesday night has died. According to the Missouri State Highway Patrol, a distress call was received from the plane after 7:00 p.m. prompting an air and ground search for the plane. It was found around 9:30 p.m. near Richmond at Highway 13 and Route B. The Ray County Sheriff’s Department says the pilot was the only person in the plane at the time of the crash. The pilot’s identity is not being released at this time. RAY COUNTY, Mo. - UPDATE 11/11| Missouri Highway Patrol identified the victim killed in a single-engine plane crash early Tuesday night. The victim has been identified as 57-year-old Elizabeth Carleen-Stevens McGhee. According to reports, Thursday would’ve been her 58th birthday. One person is dead following a single-engine plane crash in Ray County, Mo. Ray County Sheriff’s Deputies and the Missouri Highway Patrol were called out after 7:30 p.m. to an area north of Richmond, Mo. on reports that a small plane had lost contact with air traffic controllers. According to reports, emergency crews combed the rural area for the plane for nearly two hours before locating it near Missouri Highway 13 and Dockery Road. A 41 Action News photographer found the scene near 134th St. Troopers say one person was killed in the crash. Investigators remain on scene trying to learn more about the circumstances of the crash.